Before we get underway, I’d like to let everyone know the words of this post are mine, but the predictions are Laremy’s as he was kind enough to offer up some predictions before going on his Thanksgiving vacation, but he left the commentary to me. Let’s have a look. 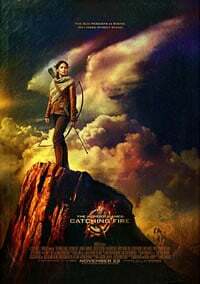 Looking to repeat at #1 is The Hunger Games: Catching Fire and after setting a November opening weekend record at $158 million last weekend it only stands to reason it would have a significant drop in its second weekend, but even still, while Laremy is predicting a 59% drop, that still means $63.3 million at the box office. Will you dare go higher or perhaps lower? The first film dropped 61.6%, but that was a March opener. Looking at another popular franchise title in The Twilight Saga: Breaking Dawn – Part 2, which opened last November to $141 million, it dropped 69.1%. With Catching Fire‘s “A” CinemaScore it should have good word of mouth, but it also has a little bit of competition. Expanding from only one successful theater last weekend, Disney’s Frozen expands into 3,742 theaters this weekend and while the reviews have been largely positive, the marketing has been severely hit and miss. Two years ago Disney released Tangled on the same weekend to the tune of $48.7 million where its competition was the second weekend for another major franchise you may have heard of, Harry Potter and the Deathly Hallows: Part 1. Last year the studio released Wreck-It Ralph on the first weekend in November and without any competition it scored $49 million. Laremy’s confidence in Frozen, however, isn’t that bullish. I can only assume it’s due to the marketing he believes Frozen will secure only $29.9 million. According to Fandango, however, Frozen is their top advance ticket-seller among animated original films (non-sequels), outselling Pixar’s Brave, the previous record-holder, at the same point in the sales cycle on Fandango. Reader predictions on this one could be interesting and if I could add a little fuel to the fire, I wouldn’t be surprised to see this one land over $50 million. Moving down the line we come to the latest Jason Statham actioner, Homefront. This time Statham is taking on James Franco as Gator Bodine and while I quite liked it (read my review here), the RottenTomatoes rating is a mere 32%. Laremy predicts the film will score $9 million from 2,572 theaters. I can’t tell if that’s good or not, but I do know I’d rather see more Statham actioners like this one rather than most of the so-called action films Hollywood is churning out these days. Finally, it was a toss-up as to whether we went with Black Nativity, Oldboy or Philomena for our fourth film in the Box Office Challenge this weekend and I thought Oldboy, which FilmDistrict is opening in only 583 theaters, would be the more interesting choice. Laremy doesn’t expect Lee’s latest, which is currently sporting a 46% at RottenTomatoes, to even crack the top ten, predicting a $1.7 million finish for the remake of the much-loved Korean original. Do you see it doing any better? With that, I’ll step aside and leave the rest of the predicting to you. I’m sure you’ll all have Catching Fire at #1, but how big a drop will you predict and how high (or low) will you go on Frozen? Closer to Laremy’s sub-$30 million number or a $40+ million number closer to the previous results of Tangled and Wreck-It Ralph? SIDE NOTE: Some of the theater numbers below are estimates. We’ll have the actual counts in Sunday’s wrap-up article.